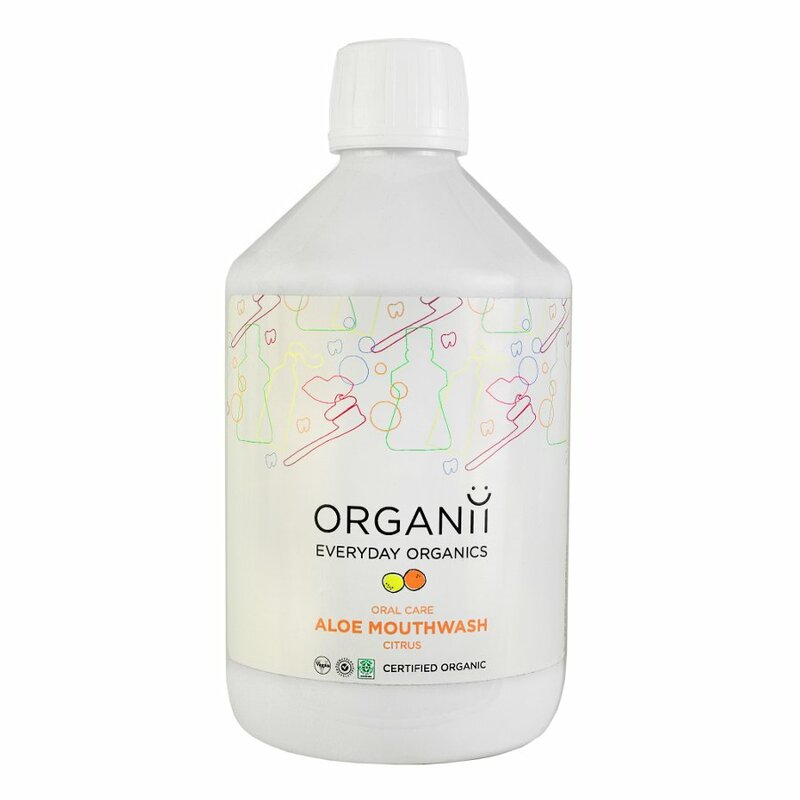 With natural essential oils of lemon, grapefruit and orange this certified organic mouthwash has a refreshing citrus taste. Created to protect your teeth and gums while keeping germs and plaque away and promoting good mouth health. This mouthwash could even help prevent bad breath and gingivitis. Directions: Shake well, pour small amount of mouthwash into lid, swirl around the mouth then spit out. Don’t rinse your mouth. Aqua (water), aloe barbadensis gel*, alcohol*, citrus medica limonum oil*, citrus aurantium dulcis oil*, citrus grandis oil* limonene, citral, geraniol, linalool, coumarin, sorbic acid, sodium benzoate, sodium dehydroacetate *From organic farming. 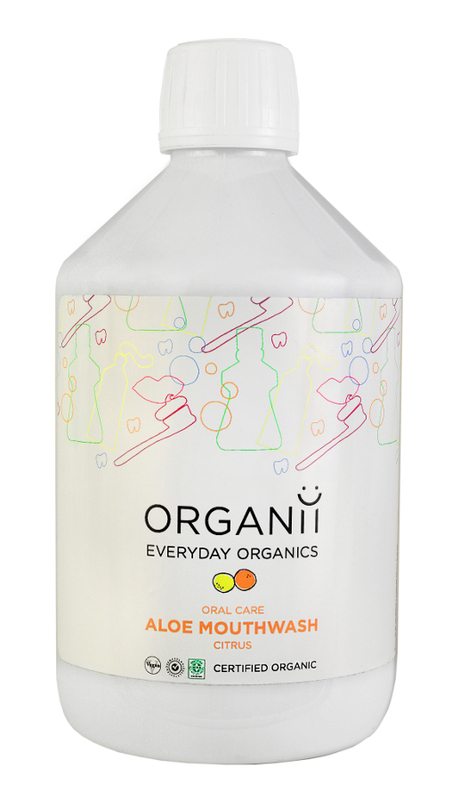 There are currently no questions to display about Organii Aloe Mouthwash - Citrus - 500ml.